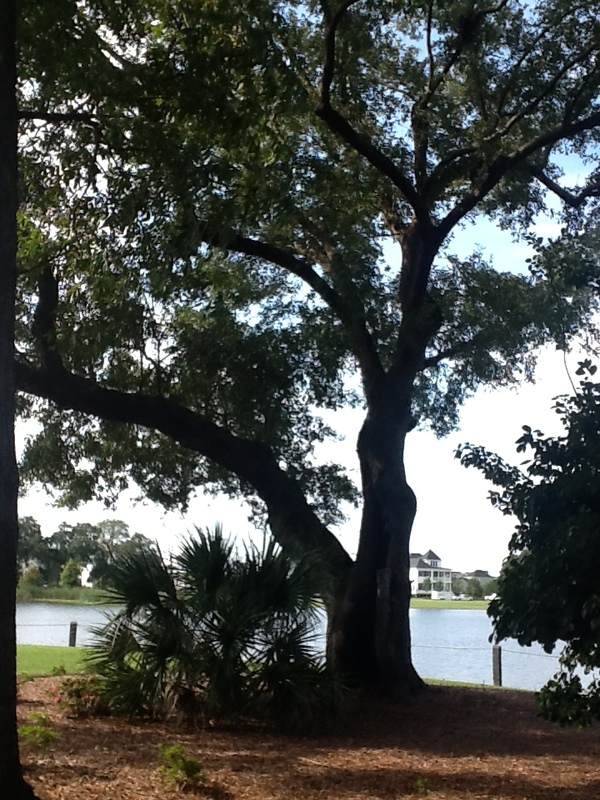 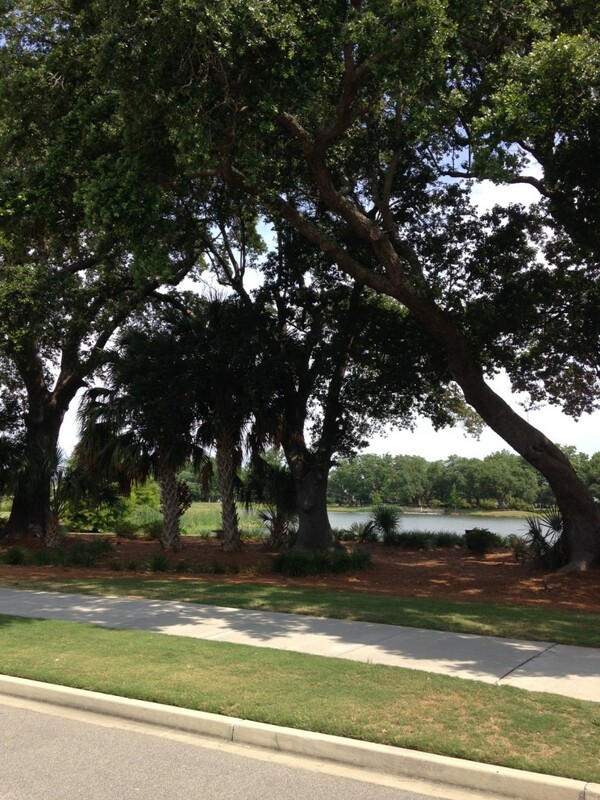 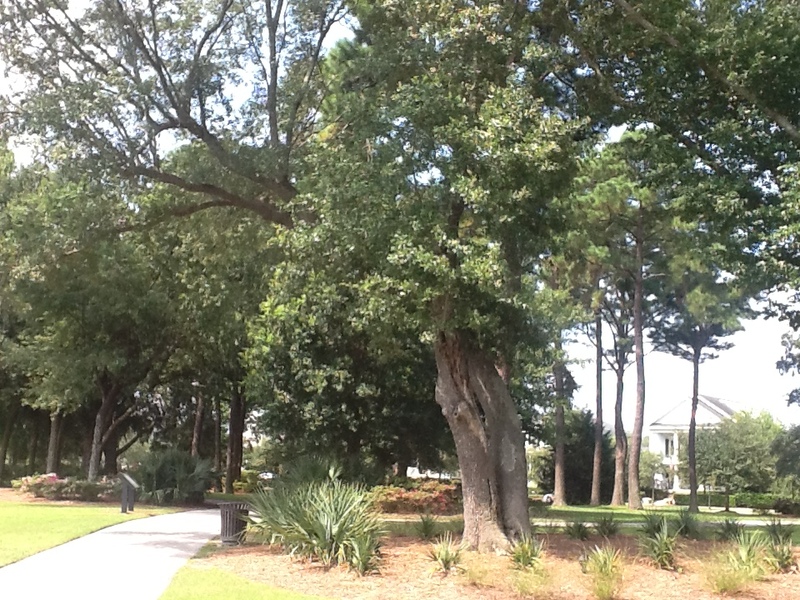 Daniel Island’s beautiful Smythe Park is named in honor and memory of Henry Buist Smythe (1920-2002), who served as the primary legal counsel for the late Henry F. Guggenheim. 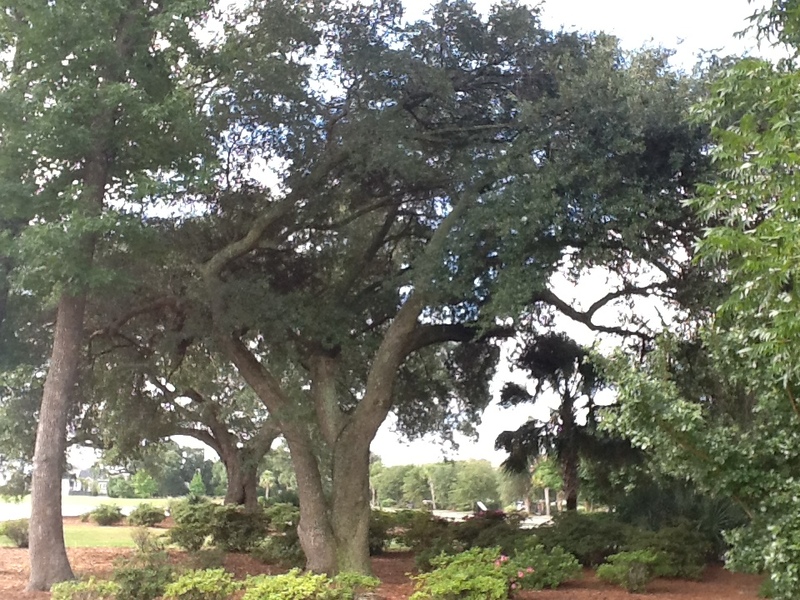 Mr. Smythe spent many days during his lifetime hunting dove and deer on these lands. 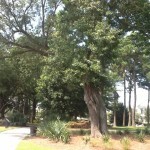 He also worked closely with Guggenheim on his purchase of Daniel Island – and later played a pivotal role in ensuring the island’s present-day development stayed true to Guggenheim’s values and ideals. 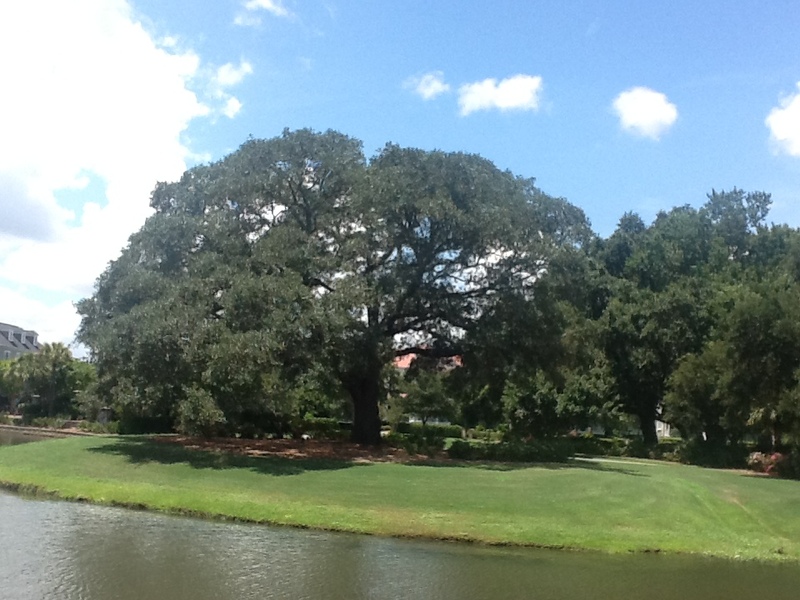 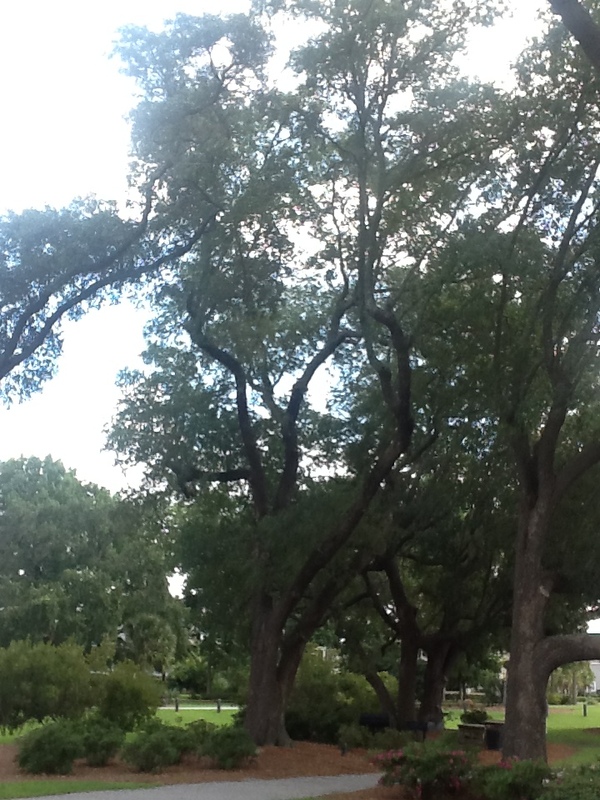 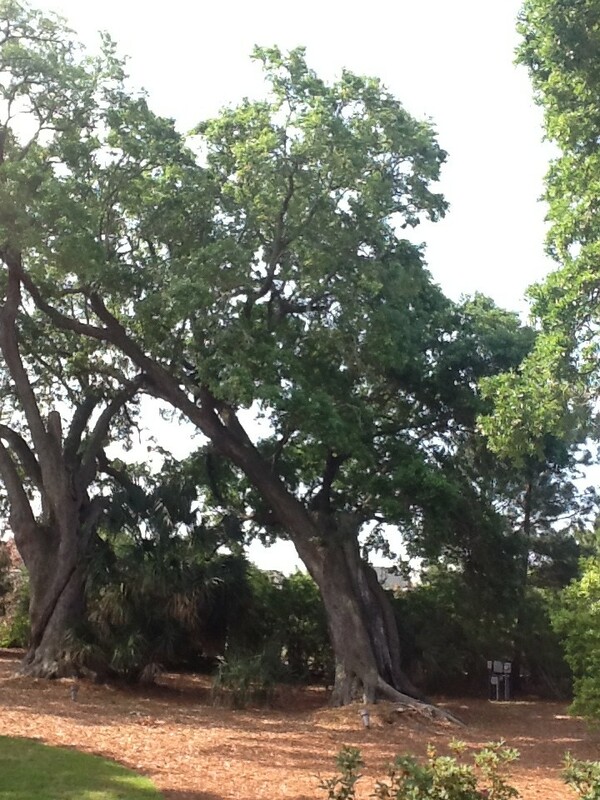 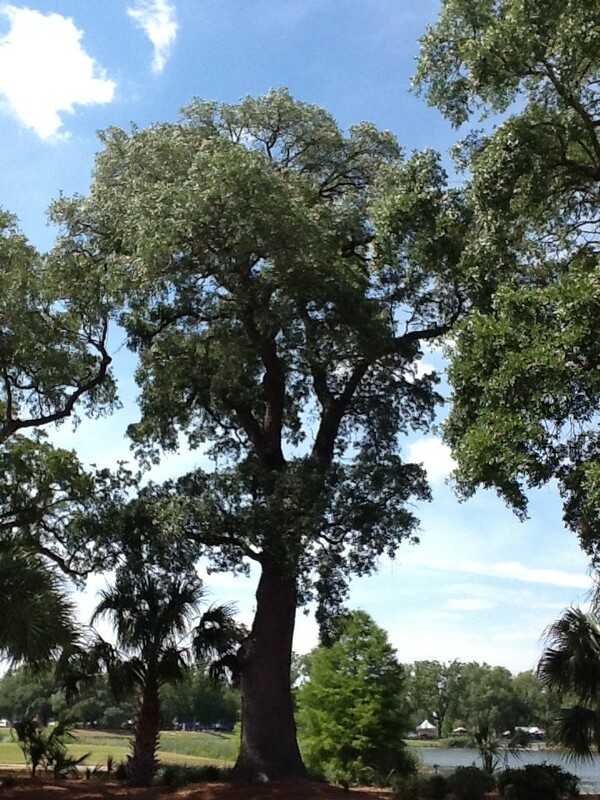 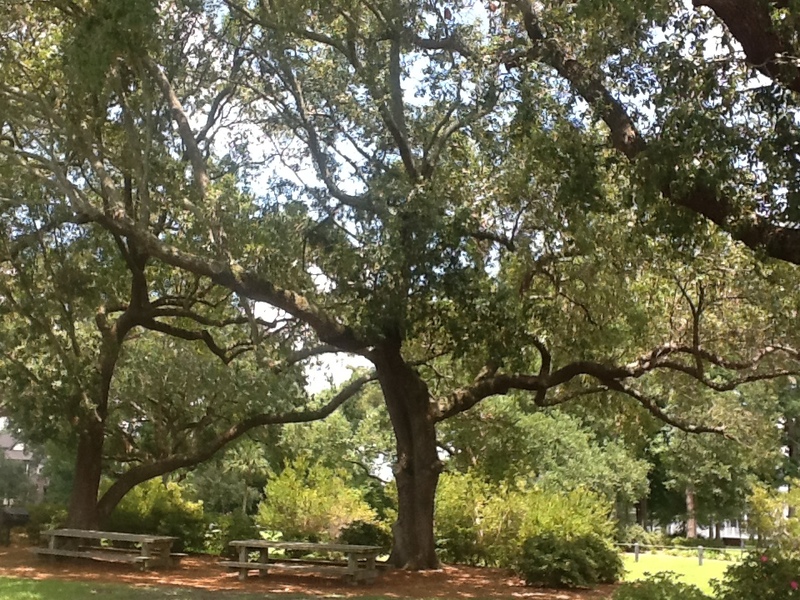 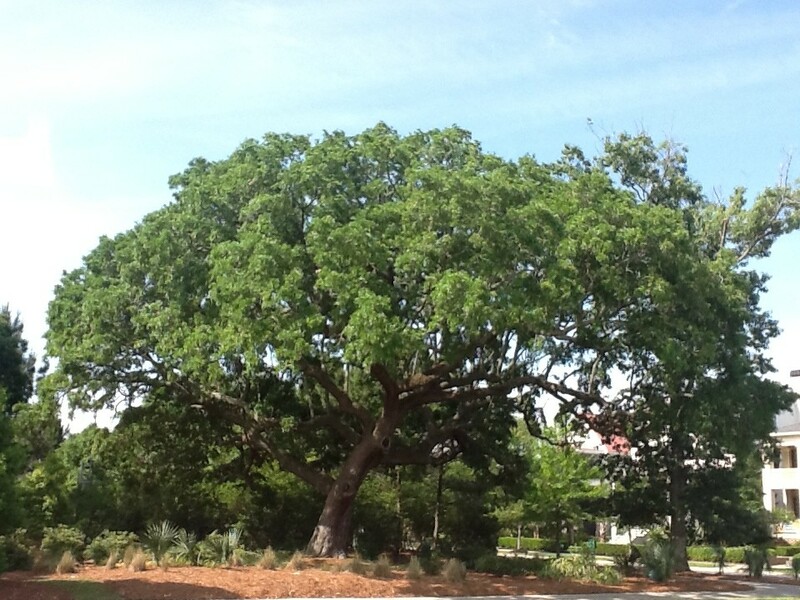 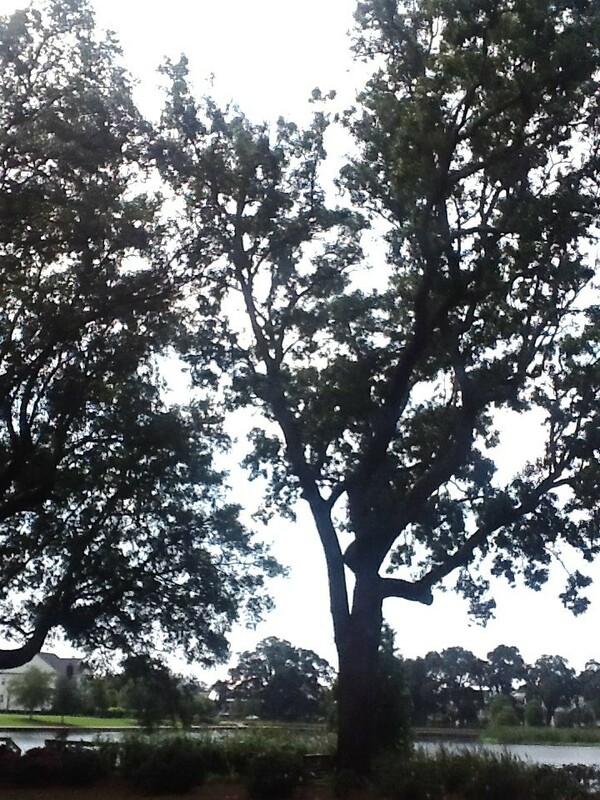 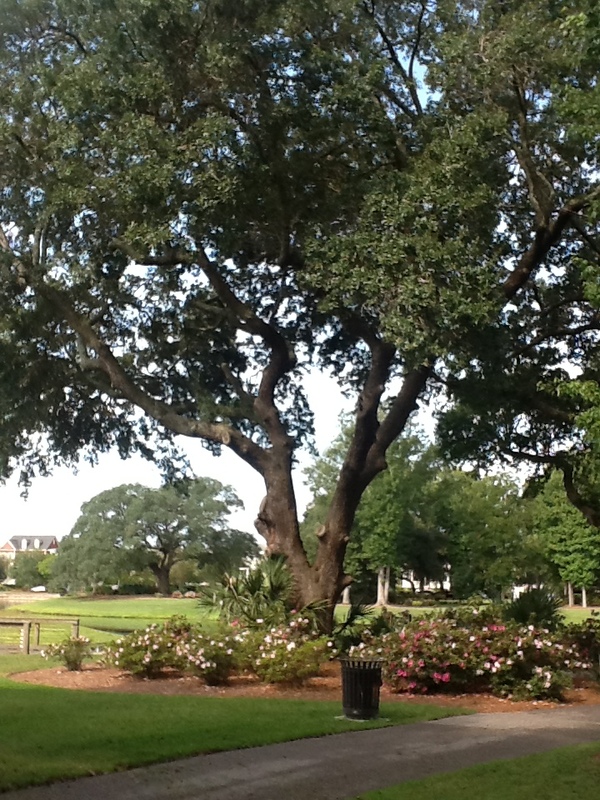 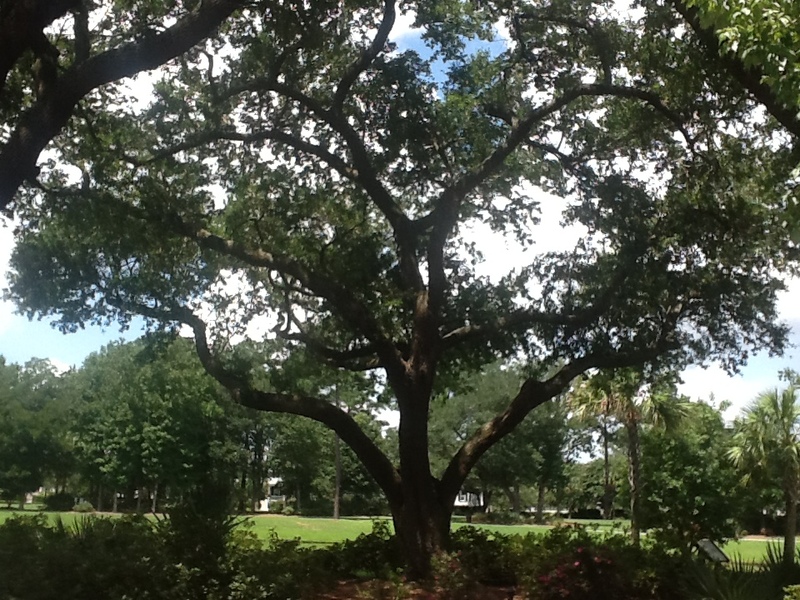 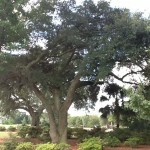 The Live Oaks present here, some of them dating back more than 200 years, add to the park’s majesty and grandeur. 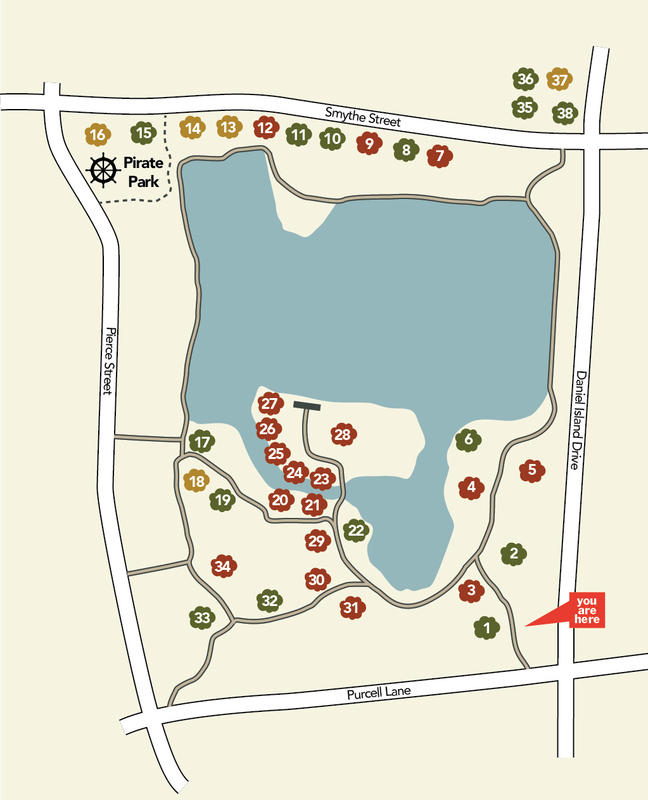 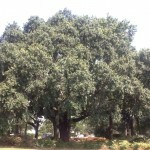 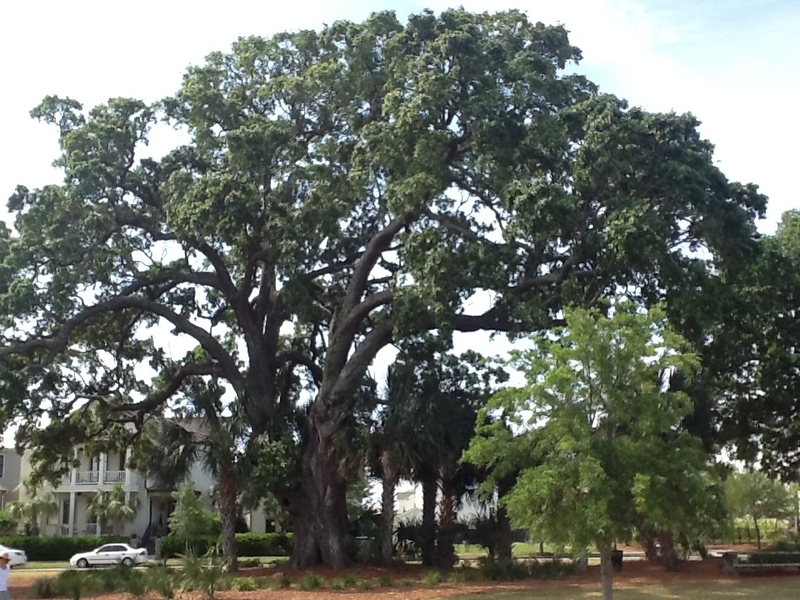 There are a total of 73 Live Oaks in this area, including 5 Centenarian level trees (over 16′), 15 Evergreen level trees (12′ to 16′), and 18 Acorn level trees (8′ – 12′). 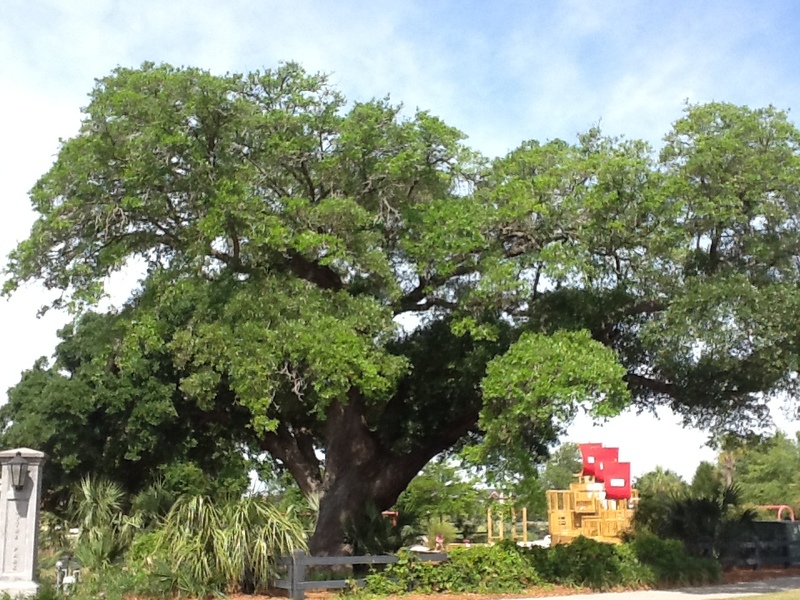 A strong marriage, like a Grand Oak, stands the test of time. 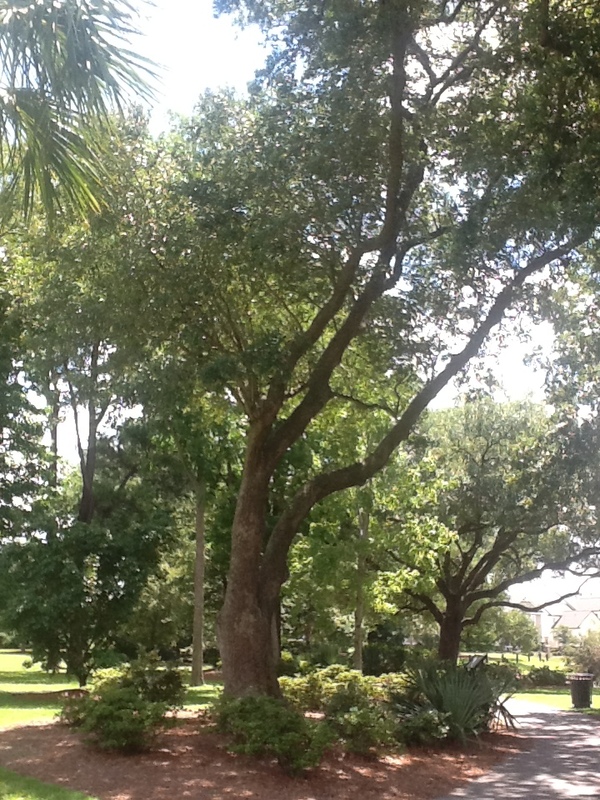 Dedicated by Carl & Ginny Paternite for 45 years of marriage, May 2, 2015. 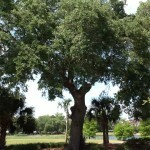 This tree has a “Cyclops” eye. 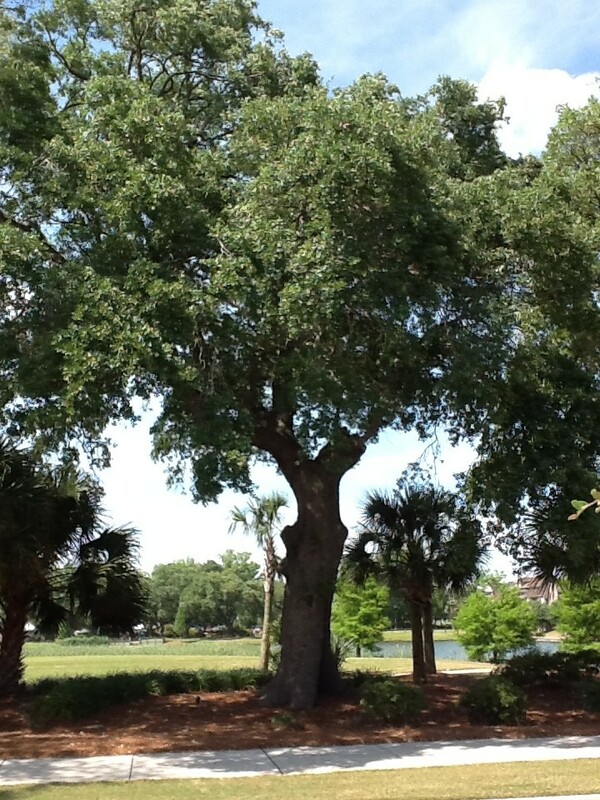 According to Greek Mythology, a Cyclops named “Arges” (which means “brightness”) added the bolt to Zeus’ thunderbolt. 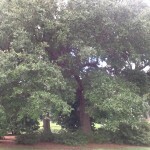 He is known for his strength and giant size. 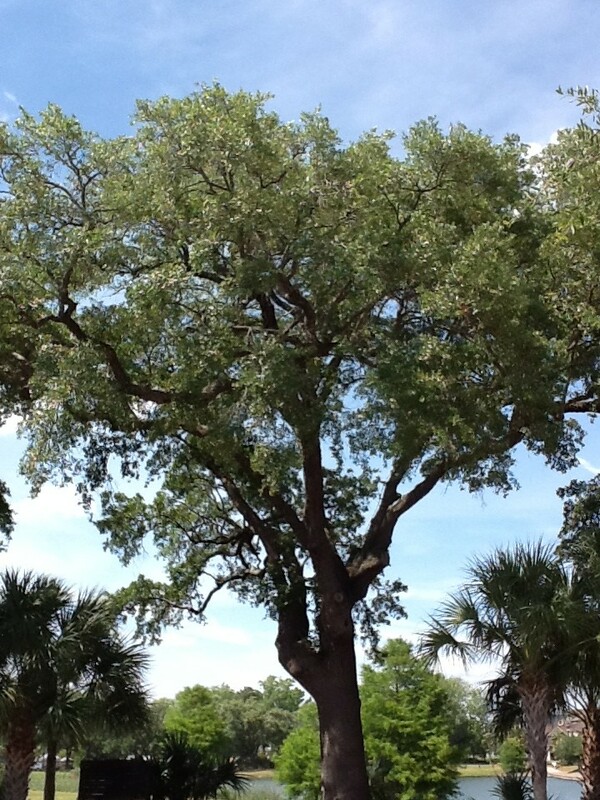 In honor of my Native American Heritage. 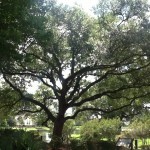 In memory of James & Carrie Cruse, my grandparents. 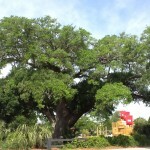 In honor of our grandchildren. 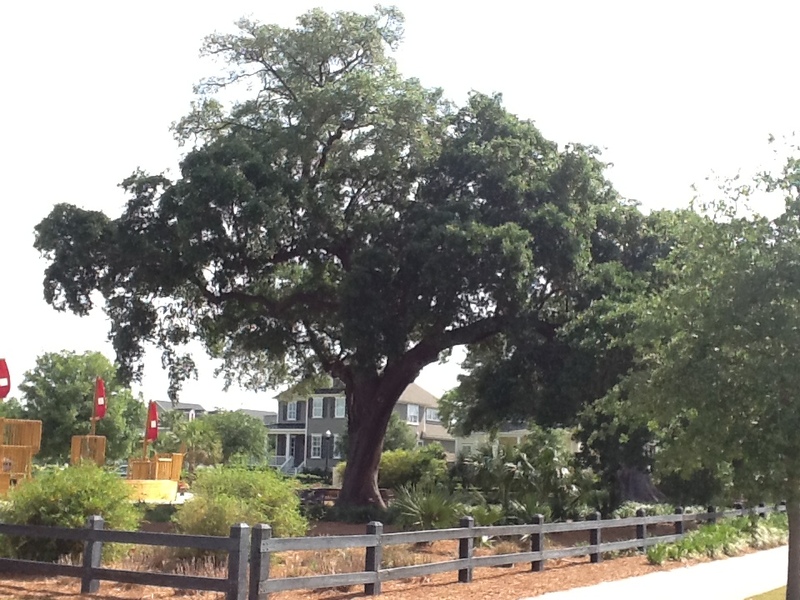 Honoring three generations of Thompson sea captains. 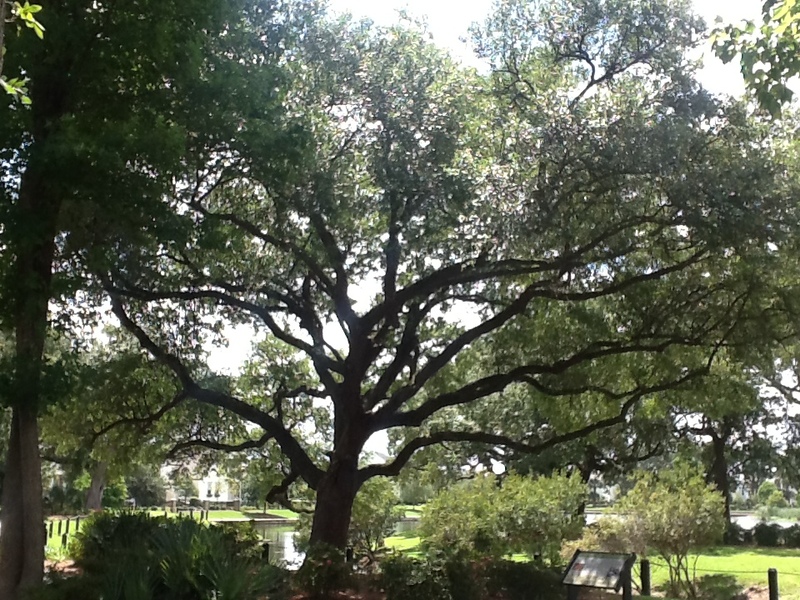 Dedicated to the memory of James Alfred Posthauer…Grandpa Jim to 13 grandchildren and 7 great-grandchildren. 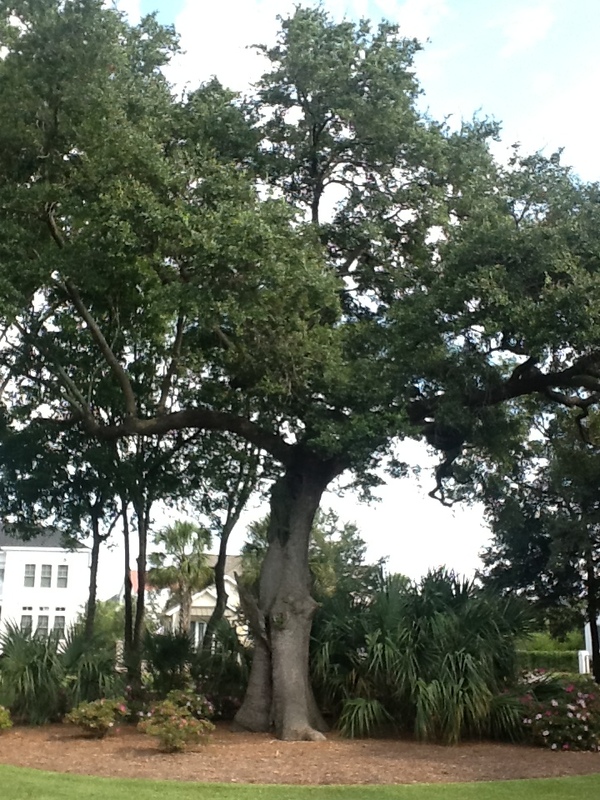 Honoring our past generations…celebrating our future generations. 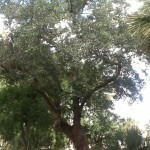 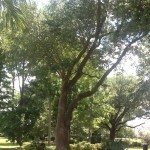 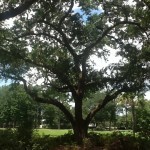 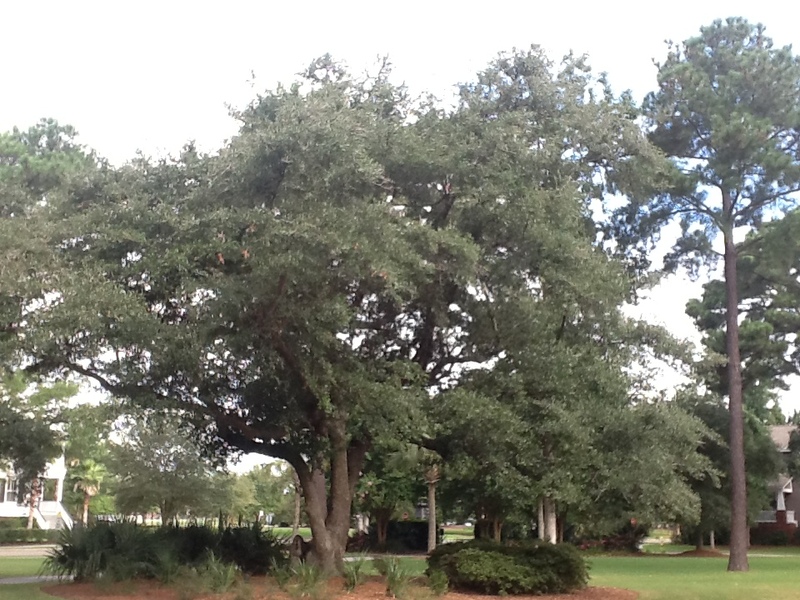 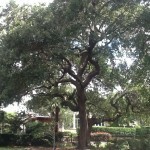 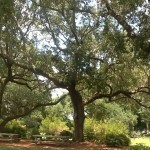 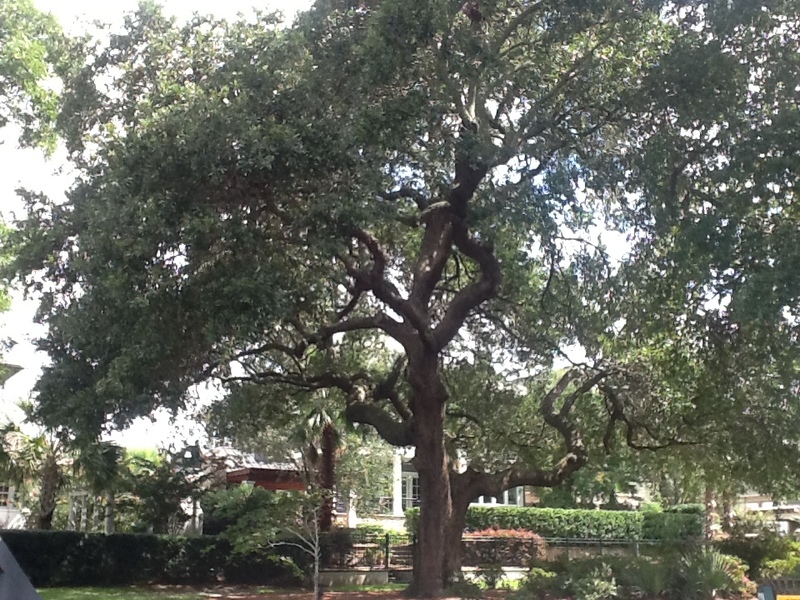 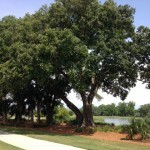 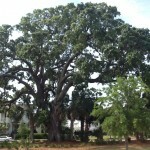 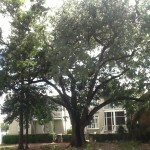 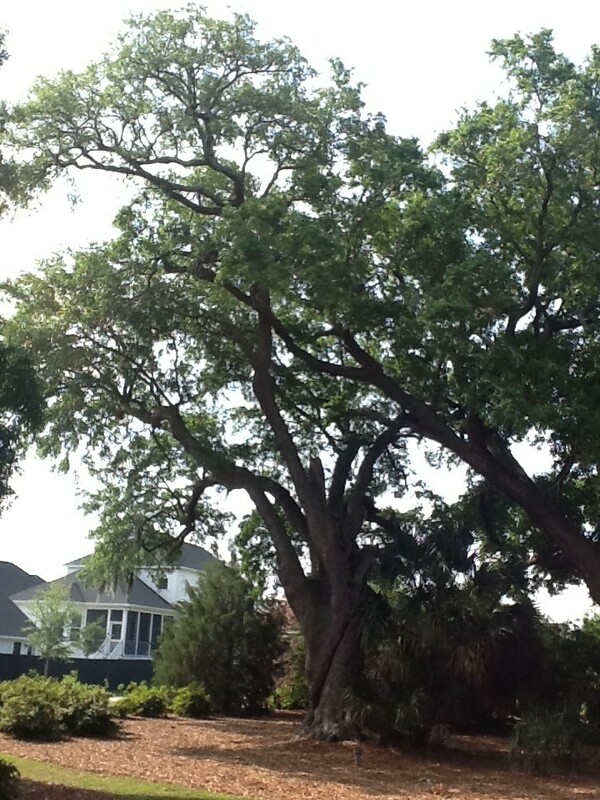 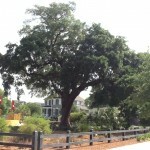 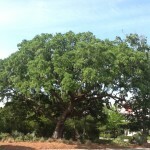 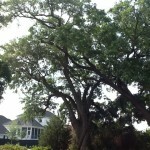 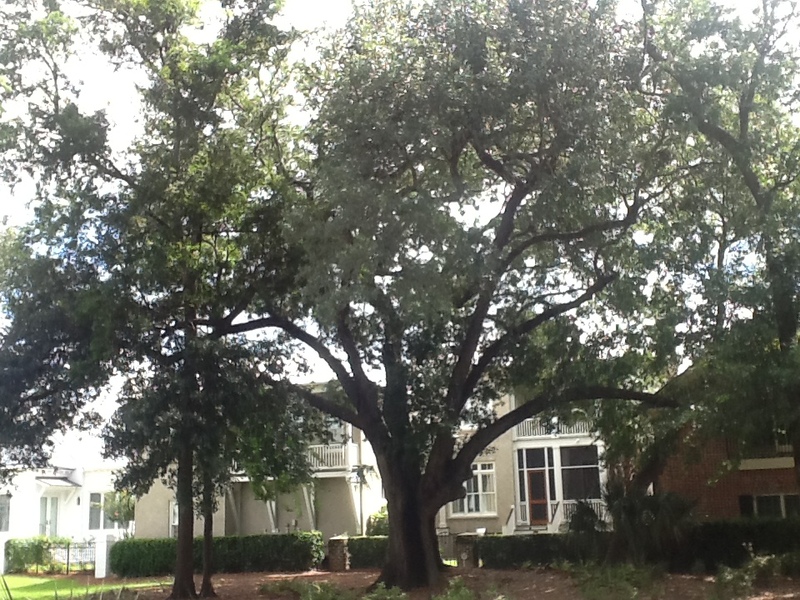 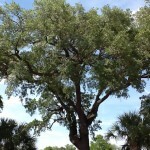 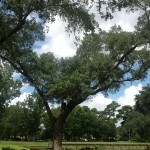 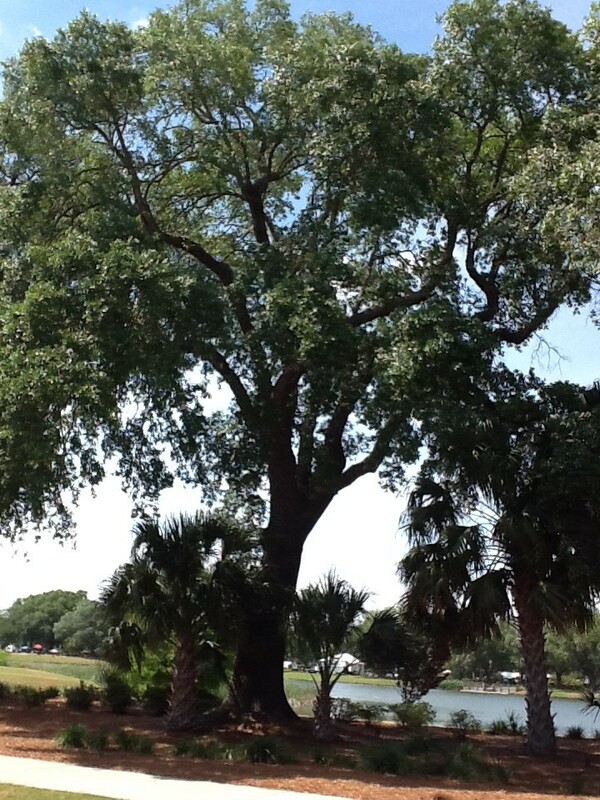 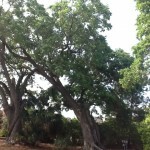 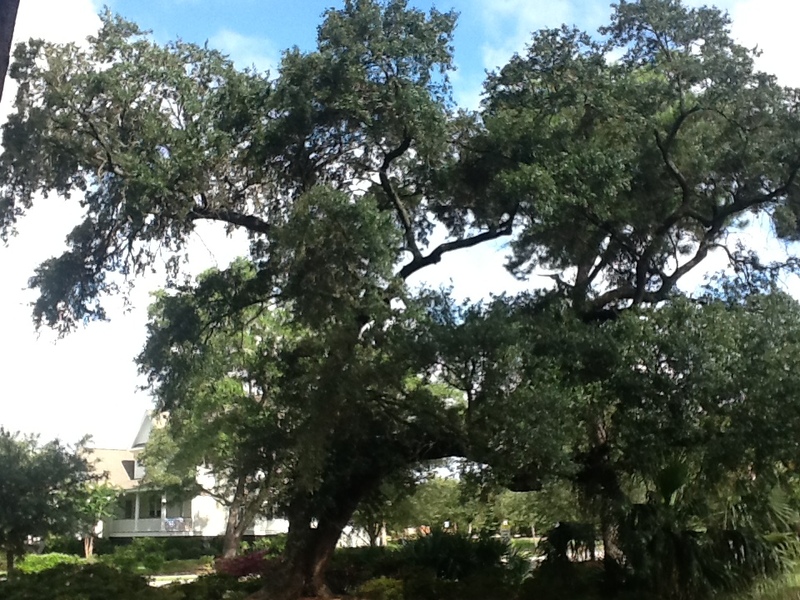 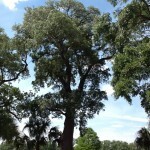 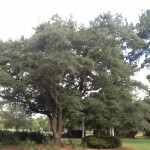 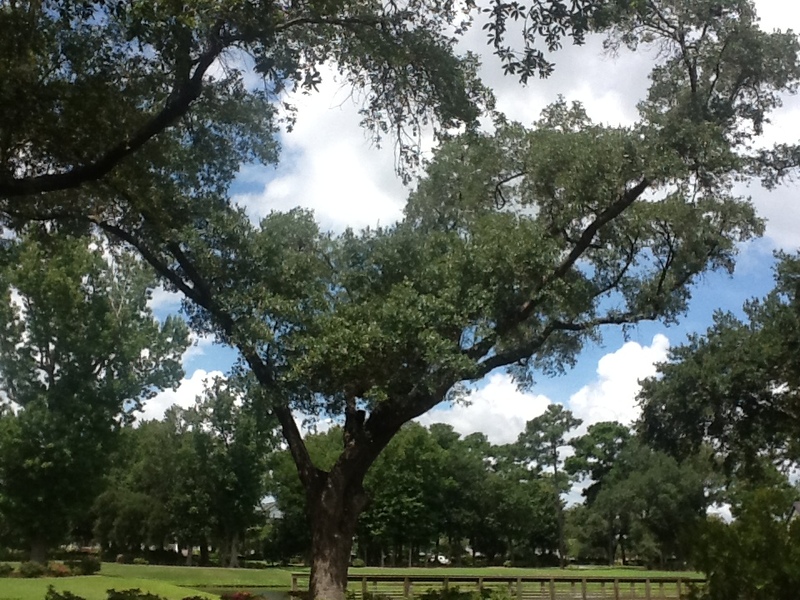 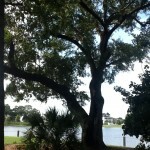 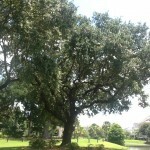 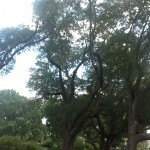 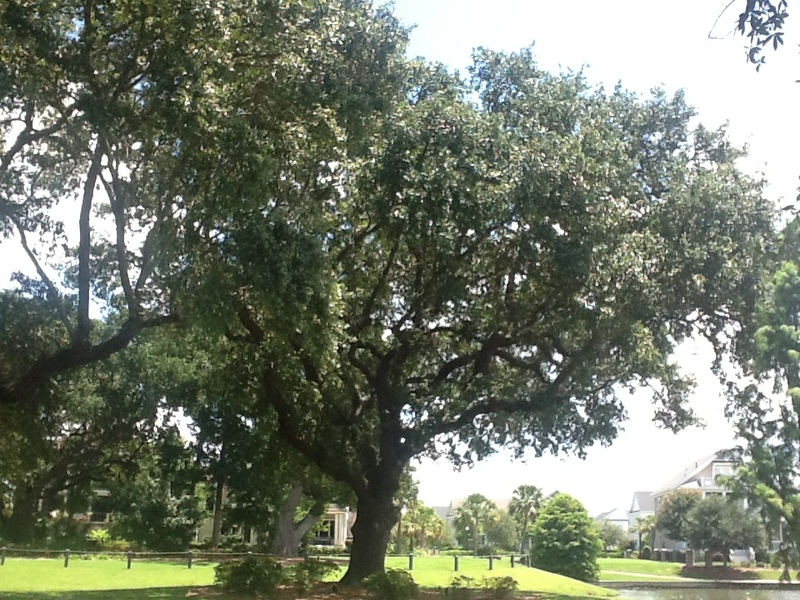 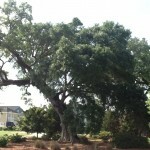 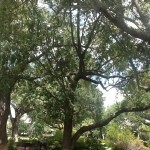 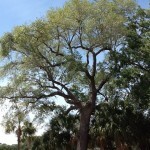 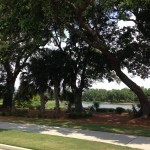 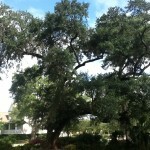 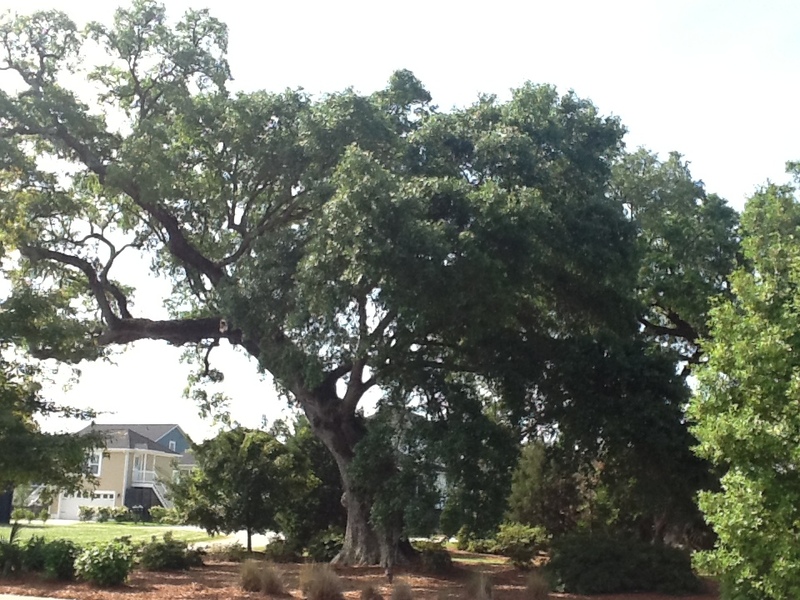 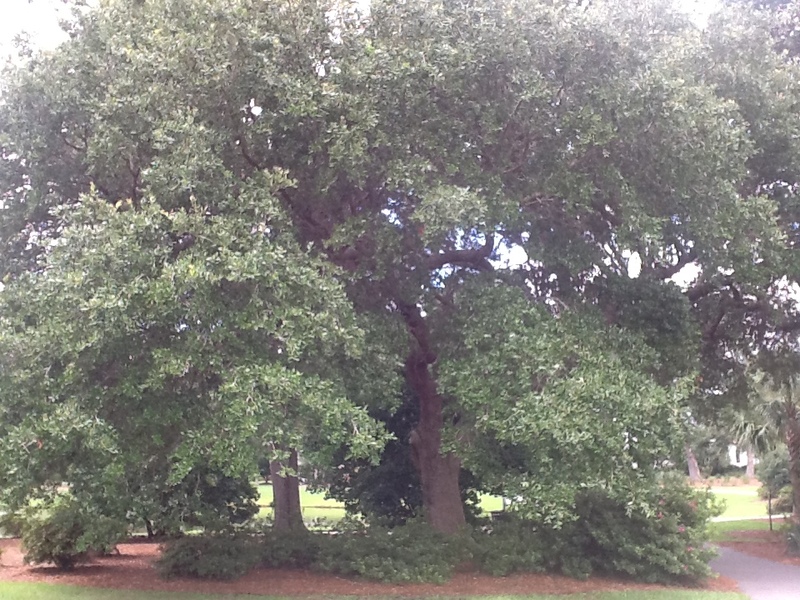 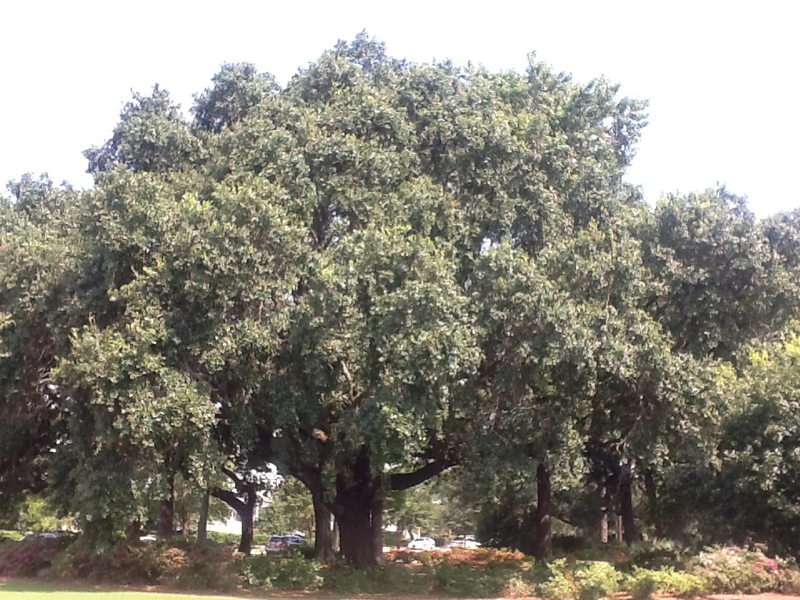 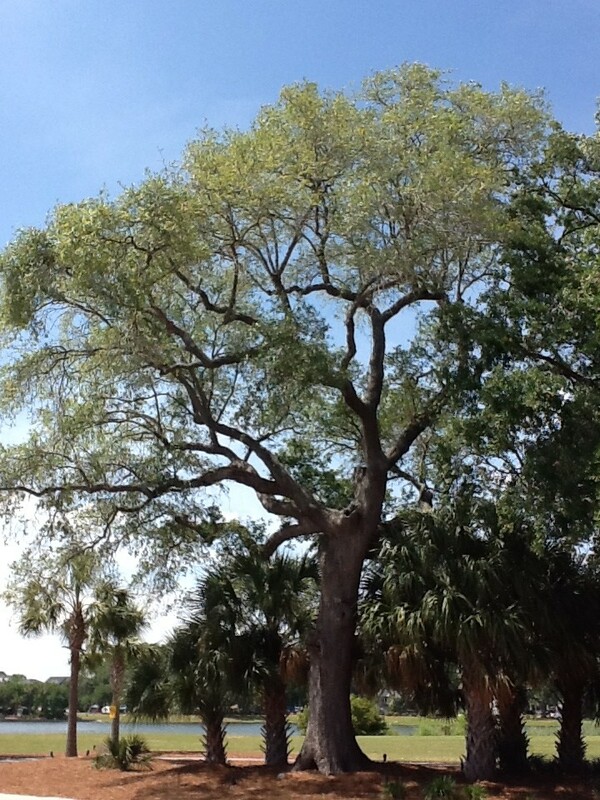 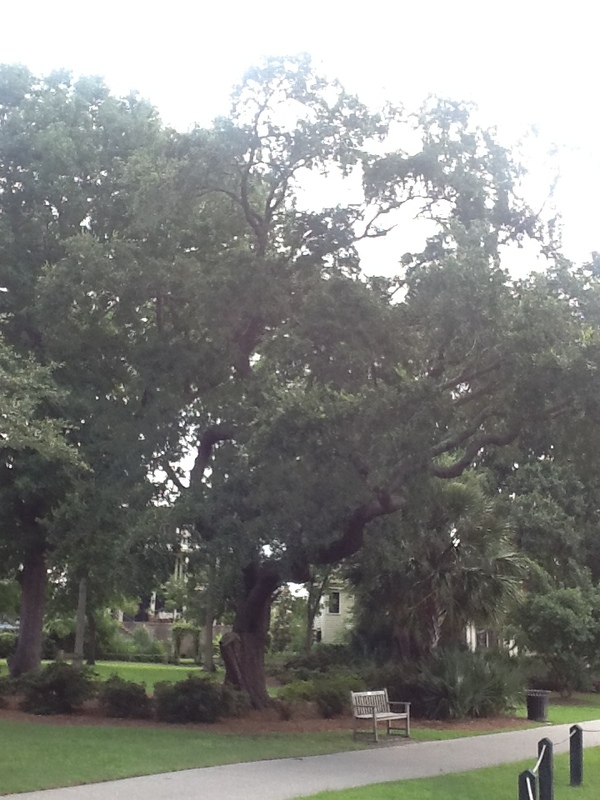 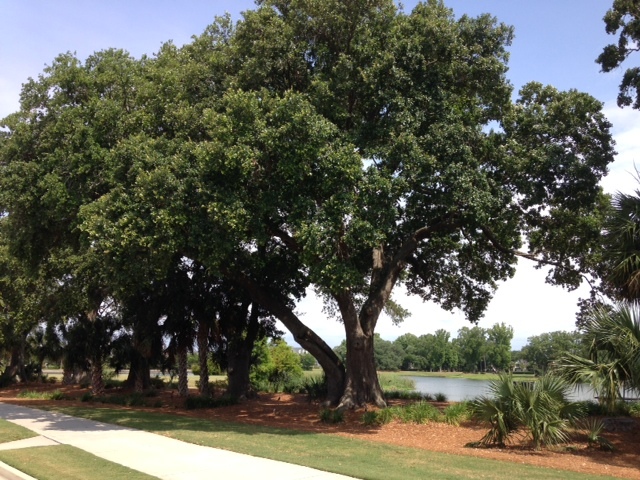 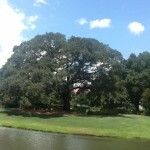 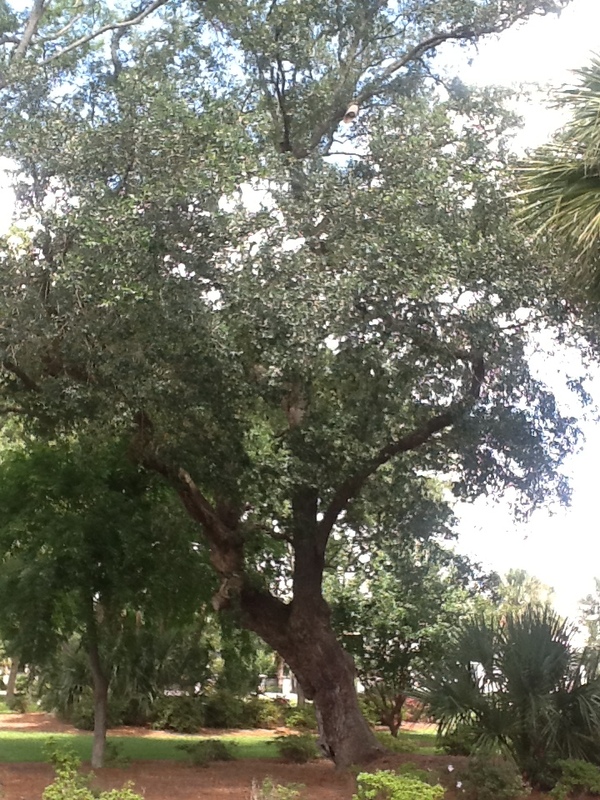 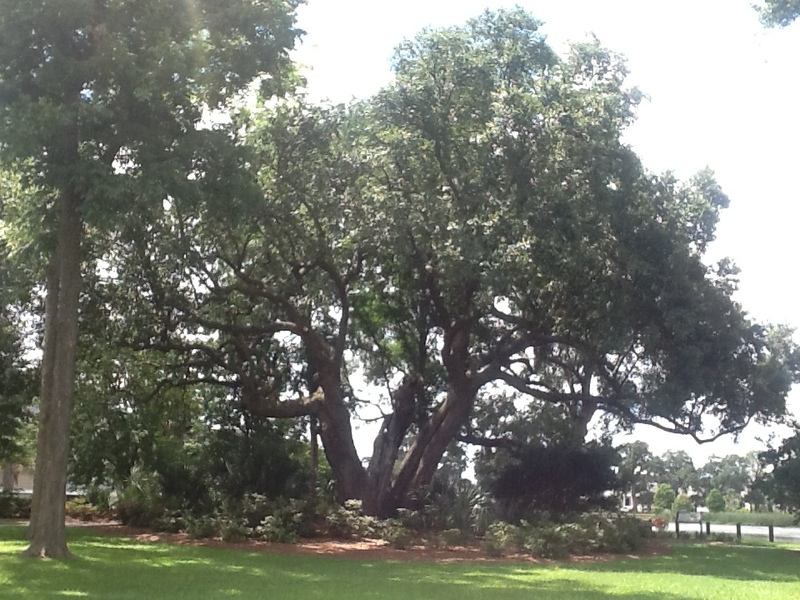 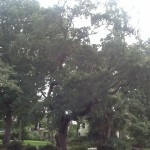 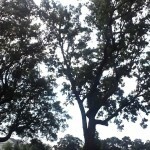 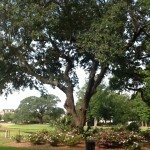 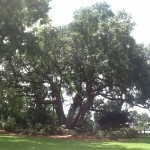 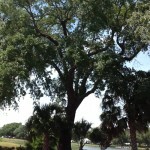 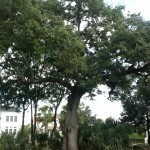 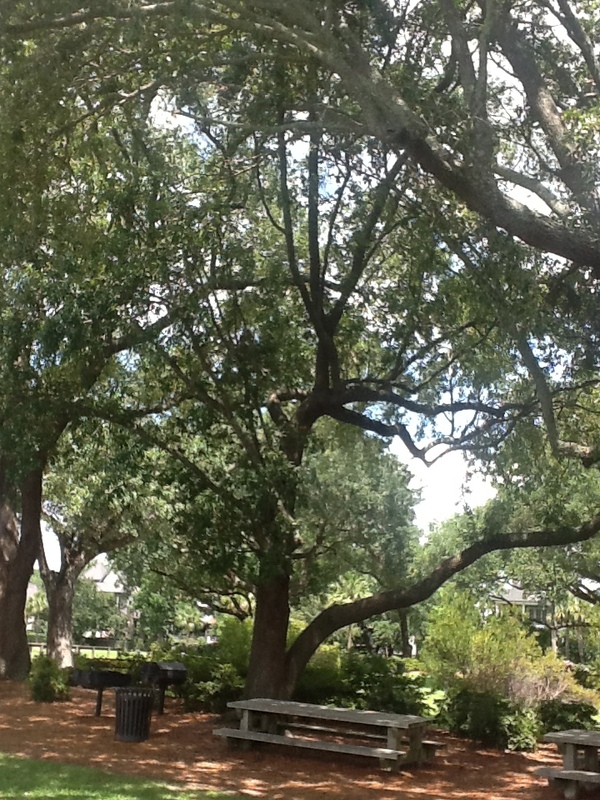 Under this live oak, Jim proposed and Dorothy said, Yes!